Meet the New Dancers of The Australian Ballet! 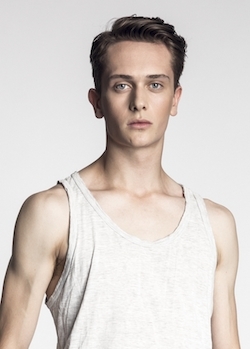 Five new faces — Shaun, Sophie, Nicola, Callum, and Natasha — have joined The Australian Ballet of 2015. Acclaimed Ukranian ballerina Natasha Kusch enters the ranks of the company’s Senior Artists, having danced previously with the Queensland Ballet and Vienna State Opera. 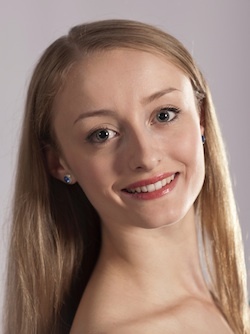 She will make her debut in the title role of Giselle in March. 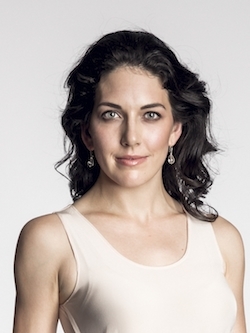 Fellow dancer, Nicola Curry, formerly of the American Ballet Theatre, joins as a coryphée. The others, recent graduates of The Australian Ballet School, celebrate the start of their careers as members of the corps de ballet with the parent company. 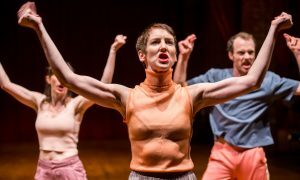 Dance Informa’s Grace Gassin introduces us to the new dancers, their hopes for the new year and a few of their hidden passions. Shaun Andrews. Photography by Daniel Boud. When did you first know you wanted to become a dancer? How did you find out you had received a contract with the Australian Ballet and what did you do to celebrate? In what ways do you think you have changed as a dancer since you entered The Australian Ballet School as a young student? What do you think you’d be if you weren’t a dancer? Sophie Morgan. Photo courtesy of Australian Ballet. Tell me about your earliest memories of dancing? How did you find out you had been given a contract? Congratulations on graduating! What has attending The Australian Ballet School meant to you? If you weren’t a dancer, what do you think you would want to be? Nicola Curry. Photography by Daniel Boud. Could you tell me a little about your early training? “I trained at several different schools in Colorado Springs, CO before leaving home at fourteen to attend the National Ballet School in Toronto, Canada. I was at NBS for four years. Eva Draw and Deborah Hess were the two teachers I worked closest with, and their training helped shape the dancer I am today. I also worked one-on-one with Karen Kain nearly every day in my final year at NBS on Odette in Act II of Erik Bruhn’s Swan Lake for the school’s end of year performance, which was an incredible learning experience. You were previously a member of American Ballet Theatre — how did you come to be interested in joining the Australian Ballet? 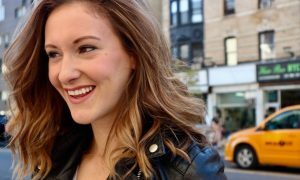 “I met my Aussie husband in New York. He was visiting his cousin, also one of my good friends, and after a month together, we pursued a long distance relationship between NY and Brisbane. For four years, we skyped and would fly back and forth to see each other several times each year. We got married in July, and I moved to Australia. We are able to be together and can both pursue our passions and careers here in Australia. What do you think it takes to be a great dancer? “I’ve been in rehearsals for Myrtha in Giselle recently. Throughout my years at ABT, I’ve seen incredible ballerinas like Gillian Murphy, Irina Dvorovenko, and Polina Semionova tackle this role, and it’s one I’ve always dreamed of dancing. It would be incredible to have the opportunity to perform that some time this year. It’s also exciting to see Twyla Tharp’s In the Upper Room in the repertoire for this year. I was one of the “Stompers” while at ABT, and it was one of my favourites out of all the roles I have ever performed. I would love to have the opportunity to revisit that ballet, and I am looking forward to many other exciting ballets this year including Ratmansky’s Cinderella and the new Sleeping Beauty. I hope to have more challenging performance opportunities that will push me to grow both technically and artistically. Callum Linnane. Photography by Daniel Boud. Congratulations, too, on your graduation! In what ways do you think you have changed as a dancer since you entered the Australian Ballet School as a young student? What would you have done professionally, if you weren’t a dancer? What first inspired you to dance? If you weren’t a dancer, what do you think you would be? 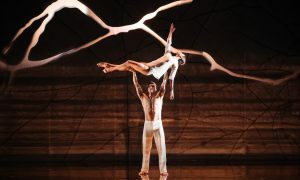 To learn more about The Australian Ballet, visit www.australianballet.com.au. Photo (top): Natasha Kusch. Photography by Daniel Boud.